Jan Sterling (April 3, 1921 – March 26, 2004) was an American actress of stage, film and television. Most active in films during the 1950s (immediately prior to which she had joined the Actors Studio), Sterling received a Golden Globe Award for Best Supporting Actress for her performance in The High and the Mighty (1954), and was nominated for an Academy Award for Best Supporting Actress for the same performance. Her best performance is often recognized as the "sluttish, opportunistic wife" opposite Kirk Douglas in Billy Wilder's 1951 Ace in the Hole. Although her career declined during the 1960s, she continued to play occasional television and theatre roles. Sterling was born Jane Sterling Adriance in New York City, the daughter of Eleanor Ward (née Deans 1895-1989) and William Allen Adriance Jr (1894-1953), an architect and advertising executive. She had a younger sister, Ann "Mimi" Adriance, a model and businesswoman. Jane grew up in a wealthy household and was educated in private schools before heading to Europe and South America with her family. She was schooled by private tutors in London and Paris and was enrolled in Fay Compton's dramatic school in London. As a teenager, she returned to the borough of Manhattan, and with variations of her given name, such as Jane Adriance and Jane Sterling, began her career by making a Broadway appearance in Bachelor Born, and went on to appear in such major stage works as Panama Hattie, Over 21 and Present Laughter. In 1947, she made her film debut in Tycoon, billed as Jane Darian. Ruth Gordon reportedly insisted she change her stage name and they agreed upon Jan Sterling. She played a prominent supporting role in Johnny Belinda (1948). Alternating between films and television, Sterling appeared in several television anthology series during the 1950s, and played film roles in Caged (1950), Mystery Street (1950), The Mating Season (1951), Ace in the Hole (1951), Flesh and Fury (1952) and Female on the Beach (1955). Often cast as hard and determined characters, she played a more sympathetic character in Sky Full of Moon (1952). In 1950, she was cast as "Ruth" on ABC's The Marshal of Gunsight Pass, with Russell Hayden and Eddie Dean. Sterling's character is the girlfriend of Deputy Roscoe played by veteran western film star Roscoe Ates. The series was telecast live from a primitive studio lot at the Iverson Ranch in Chatsworth, California. In 1954, Sterling was nominated for an Academy Award and won a Golden Globe Award for Best Supporting Actress for her performance in The High and the Mighty. Later that year, she travelled to Britain to play the role of Julia in the first film version of George Orwell's 1984, despite being several months pregnant at the time. During the following years, she appeared regularly in films. She guest-starred on Riverboat, as well as "Nurse Murdoch" in the 1963 episode "Millions of Faces" on ABC's Breaking Point. In 1967, she and Tisha Sterling (the daughter of Robert Sterling and Ann Sothern) appeared in the episode "Eleven Miles to Eden" of NBC's The Road West starring Barry Sullivan. In late 1968, she began portraying the conniving "Miss Foss" on The Guiding Light. After appearing in the rarely seen 1969 film The Minx, she retired from films in favor of the stage, and returned to television in 1979 to portray Lou Henry Hoover in Backstairs at the White House. Her last film appearance was as Walter Matthau's wife in the 1981 film First Monday in October. Sterling's marriage to John Merivale ended in divorce. Her career declined after the death in 1959 of her second husband, the actor Paul Douglas. In the 1970s, she entered into a long-lasting personal relationship with Sam Wanamaker. Inactive for nearly two decades, she made an appearance at the Cinecon Film Festival in Los Angeles in 2001. Sterling's later life was marked by illness and injury that included diabetes, a broken hip and a series of strokes. Her son, Adams Douglas, died from heart failure in December 2003, at age 48. Sterling died three months later on March 26, 2004, eight days before her 83rd birthday, in the Woodland Hills area of Los Angeles. ↑ "Jan Sterling". Find A Grave. ↑ Life Magazine. "Paul Douglas: Demon to Daddy". March 12, 1951. p. 118. ↑ Garfield, David (1980). "Birth of The Actors Studio: 1947-1950". A Player's Place: The Story of The Actors Studio. New York: MacMillan Publishing Co., Inc. pp. 75, 76. ISBN 0-02-542650-8. The various teachers who taught at the studio over the three-year period between the fall of 1948 and the fall of 1951 brought with them actors they had worked with or students from their private classes... Other prominent actors who joined the studio during this time were Jean Alexander, Beatrice Arthur, Barbara Baxley, Lonny Chapman, Salem Ludwig, Lois Nettleton, Alfred Ryder, Eva Marie Saint, Frank Silvera, Kim Stanley, Jan Sterling, Ray Walston and Dennis Weaver. 1 2 Willis, John. 2006. Screen World: 2005 Film Annual. Hal Leonard Corporation. pp 387, 453; ISBN 1-55783-667-1, ISBN 978-1-55783-667-0. ↑ Kirby, Walter (April 27, 1952). "Better Radio Programs for the Week". The Decatur Daily Review. p. 48. Retrieved May 9, 2015 – via Newspapers.com. 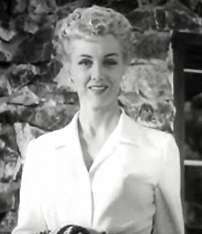 Wikimedia Commons has media related to Jan Sterling. Jan Sterling at the Internet Off-Broadway Database; accessed May 3, 2014. Images of Jan Sterling's 1960 passport (with incorrect year of birth), passportland.com; accessed May 3, 2014.